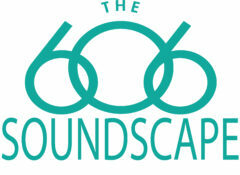 The 606 Soundscape project is conceived by audio artist Eric Leonardson, 2016 Open AIR (Artist-in Residence). This new artist-in-residency program allows local artists to create cultural programming throughout the landscape of The 606 and Bloomingdale Trail. Leonardson will invite communities to explore The 606 through a series of soundwalks, original instrument-making classes, and participation in World Listening Day on July 18. The 606 is the system of parks that includes the Bloomingdale Trail and its four access parks. Formerly, the trail was an elevated freight railway line. It opened as a public park in 2015 with support from the Friends of the Bloomingdale Trail, Chicago Department of Transportation, Chicago Park District and The Trust for Public Land. One aim of the residency is to generate a deeper understanding and of definitions of natural and man made sounds, music and noise that impact The 606 and Bloomingdale Trail experience for residents. Participants will learn from each other. To form a sort of “bridge of entry portals” with sound, the residency culminates in a series of “progressive” community concerts inspired by Cornelius Cardew’s “Scratch Orchestra” bringing together trained and untrained players living near each pocket park, with soundwalk interludes along The 606 connecting them on a single evening in late July. The Open AIR on The 606 artist residency program and is made possible through support from the Chicago Park District and the Trust for Public Land.